There’s an App for That? Wondering whether your favorite restaurant has gluten-free choices? Headed into the city and need to find a gluten-free gastropub? Do you want to buy gluten-free cupcakes for your roommate’s birthday, and are not sure where to find them? Answers to all of these questions, and many more, are right at your fingertips. Gluten-free eating just got simpler, as there are now several apps for gluten-free eaters, finally taking the guesswork out of searching for reliable sources of gluten-free dining. Gluten-free apps have become the go-to resource when it comes to finding restaurants, products, experiences, community events, and information on the fly. Apps can provide a multitude of information in an organized, user-friendly, and up-to-date way on your smartphone or tablet. Though apps are not foolproof, they can assist with living a gluten-free lifestyle. 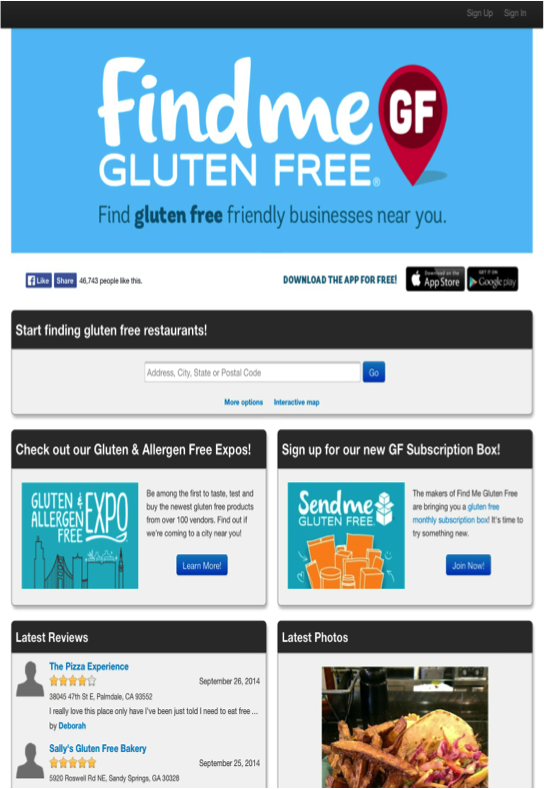 Find Me Gluten Free is an app that helps find nearby gluten-free restaurants. Although the app does not suggest places to eat nor does it tell consumers what to eat, it does have reviews of restaurants and local gluten-free establishments. Consumers can view gluten-free menus at fast food restaurants and are provided the directions to the restaurant. It also provides photos and information about local gluten-free events. Travelers find this app very helpful and easy to use, and best of all, it’s totally free! Is That Gluten Free? 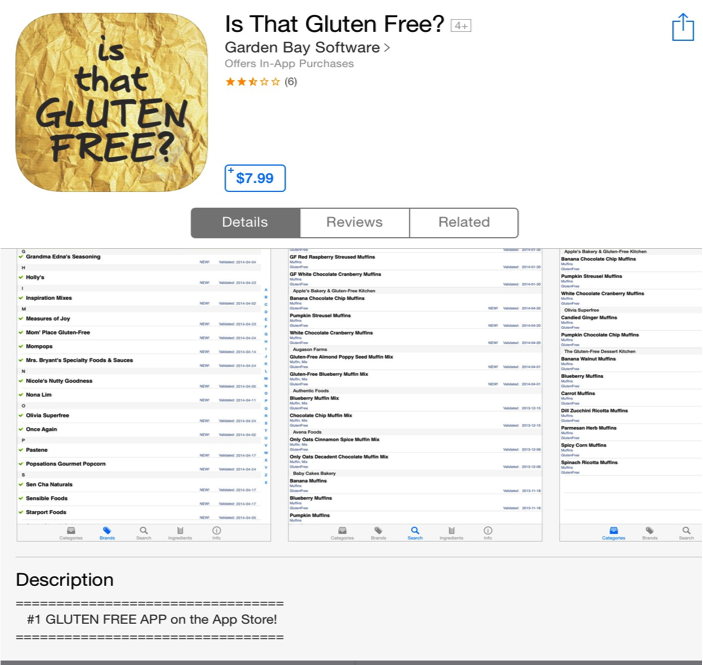 is the top rated gluten-free app in the apple App Store. The app does not require wifi for use. It contains a categorized list of items, brands, and ingredients you would find at most grocery stores. It also shows on what date the item was tested and established as 100% gluten-free. Foods or ingredients can be searched individually or can be looked from a list. This app is extremely useful because it takes the time and guessing out of labels and ingredients. Users can also easily look at the latest brands and products added to the system. Unfortunately, not every gluten-free food item in production is on the list, the database requires frequent updating, and the app itself is a bit expensive ($7.99). Nevertheless, it is a worthy investment for those that follow a gluten-free diet. *Note: Any app, no matter how up to date, cannot guarantee the safety of your food (this is mostly relevant to those with celiac disease and gluten intolerance). Cross-contamination can occur, so it’s always good to check directly with the server about a restaurant’s food practices before ordering.